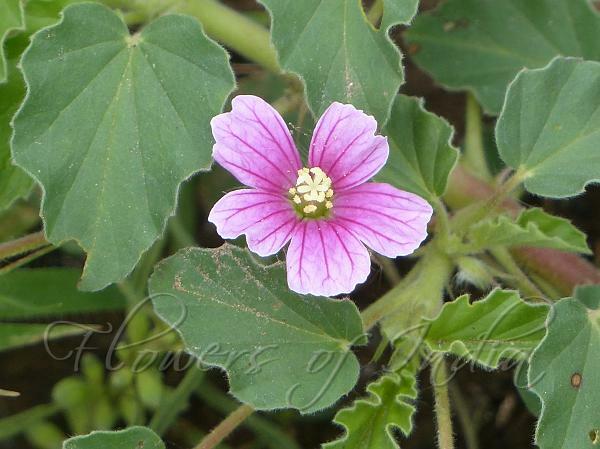 Pink Monsonia is a prostrate, decumbent or nearly erect annual herb, branching from a slightly woody base. Stems are up to 40 cm long, densely covered in gland-tipped hairs. Leaves are sometimes apparently opposite, ovate, up to about 4 x 3 cm, heart-shaped at the base; margin toothed. Flowers are usually solitary, leaf-opposed or sometimes in leaf-axils, pink with darker veins. Petals are often shallowly lobed at the tip; stamens 15. Fruit, including the erect rostrum, is 7-10.5 cm long. 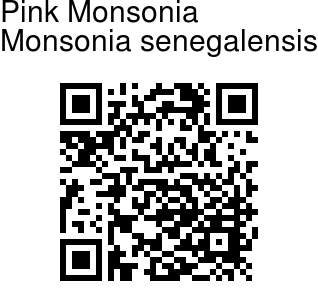 Pink Monsonia is found in Africa and India. Medicinal uses: In southern Africa, the plant is mainly used for dysenteries and intestinal haemorrhage. Identification credit: Rajkumar Dongare Photographed in Khodad, Junnar, Pune.